Greeley, Colorado — (January 2014) — Lely, the world leader in robotic milking systems, announces a new addition to its North American Dealer Center network. 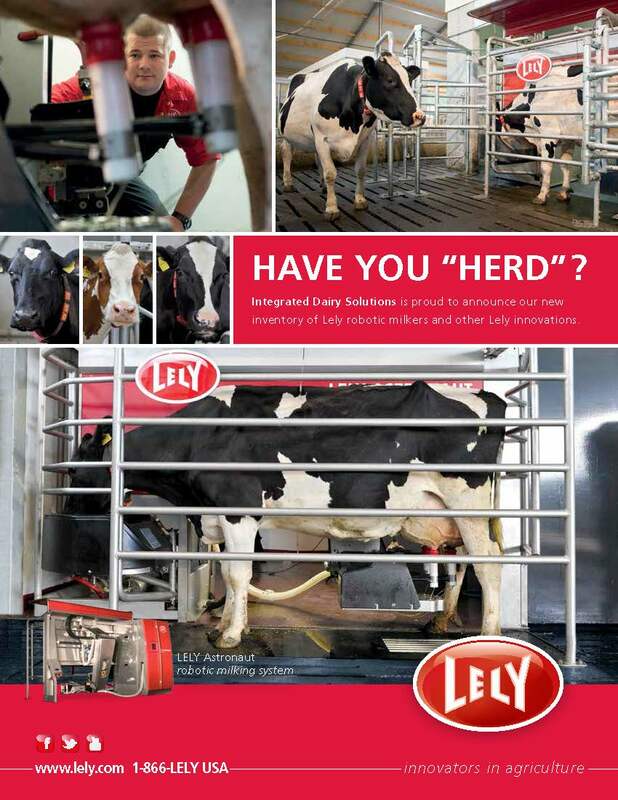 Lely has entered into a marketing agreement with Integrated Dairy Solutions, a leading milking equipment company headquartered in Johnstown, CO. As part of the agreement, Integrated Dairy Solutions will have exclusive rights to sell and service Lely robotic milking equipment, along with leading barn and feeding products, in their area. The dealer will be attending the 2014 Colorado Farm Show this month, in Greeley, Co. Their presence marks a milestone for dairies in the region as Lely is now available in Colorado. Visit their booth at the show to learn more about dairy automation. No one offers more comprehensive knowledge and experience in automated milking than Lely. By partnering with Integrated Dairy Solutions, producers in this area will be able to benefit from Lely’s commitment to enhance productivity, reduce overall operating costs and increase profitability through better herd management. See below details to connect with Lely at the Colorado Farm Show this month. 9 a.m. to 5 p.m., Tues. & Wed. | 9 a.m. to 4 p.m., Thurs.